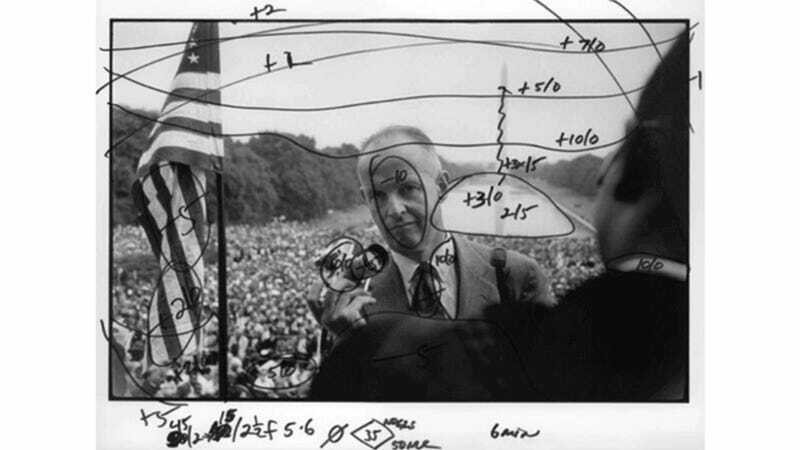 Magnum Photos, the 66-year-old photography organization and darkroom printer in New York, has handled more famous photos than you or I will ever get to even look at. Magnum's master printer, Pablo Inirio, was editing with tried and true darkroom chemicals long before Photoshop was a twinkle in Adobe's eye. And now, we can see his process. These before-and-after shots show Inirio carefully marks up each image before making a final print. You see, before Photoshop you had to patiently develop a print many times over; going back to dodge and burn specific areas based on what you didn't like. Massively time consuming, you'd have to be a master at the craft to do it in an efficient manner. The easiest way to keep track of these minute edits was to simply draw on top of the photo you spent so much time editing.